It might have been the alcohol talking... but then again you’ve always been somewhat of dickhead. 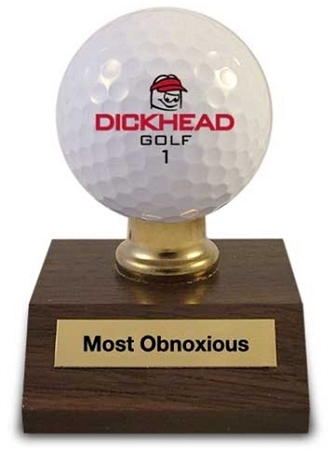 For your condescending attitude toward your fellow golfers and overall obnoxious behavior on the course you’ve won this prestigious award. Display with pride.